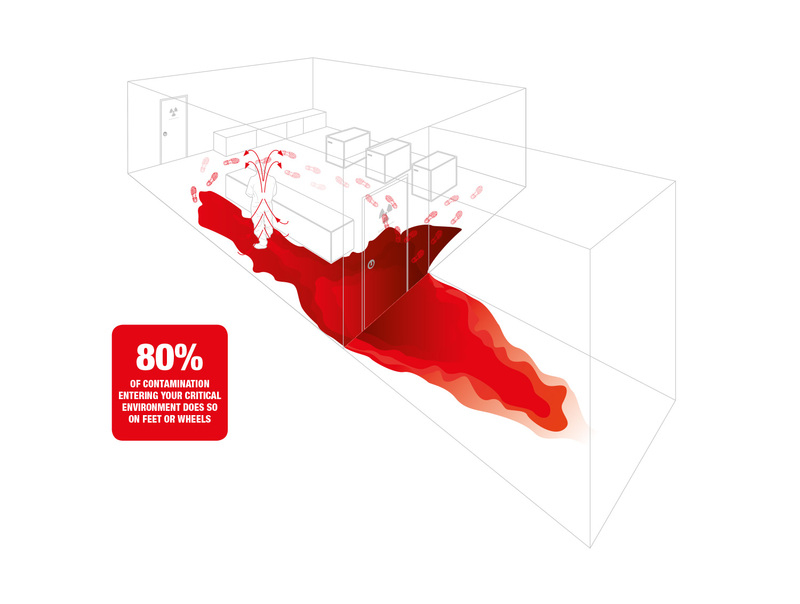 80% of all contamination enters a critical environment at floor level on feet or wheels (Source: 3M). 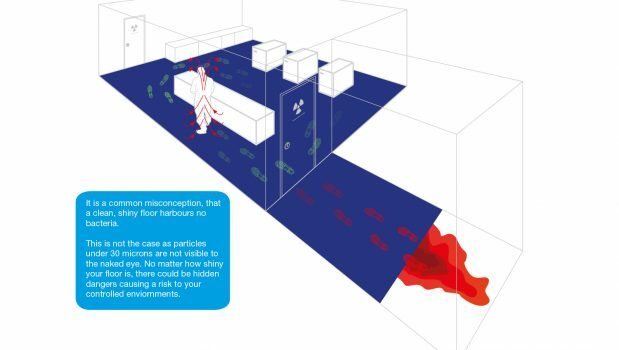 Therefore, controlling contamination and cross contamination at or near floor level is an essential and fundamental part of protecting your critical environment from particulates. 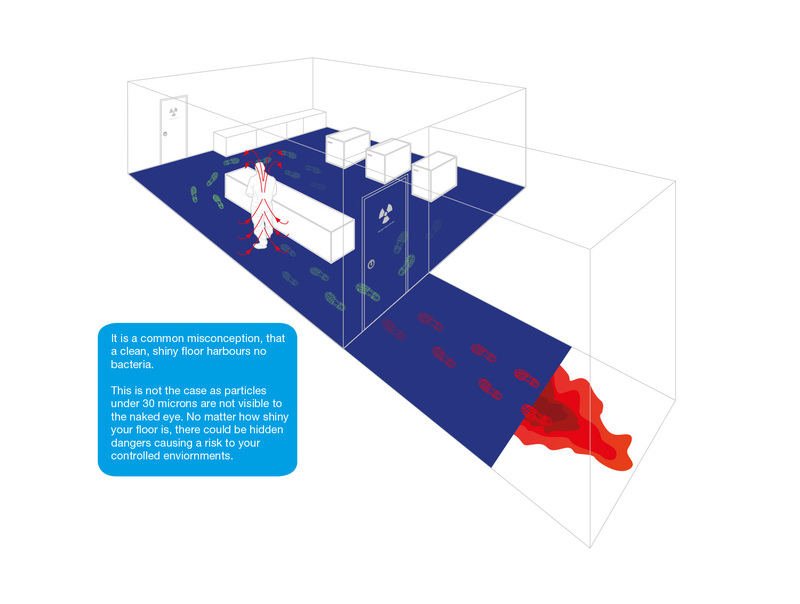 If left uncontrolled, floor level contamination can be redistributed into the air by vortices created by the movement of a body through the critical environment. Unprotected flooring also allows contaminants to be picked up on shoes and on the wheels of carts, which are then redistributed into the critical area. In some cases implementing measures to reduce the risk of contamination in critical environments, such as pharmaceutical facilities and food manufacturing plants, is a statutory requirement. Additionally, regulatory bodies such as the FDA and professional auditing teams using risk management systems, all recognise the importance of controlling contamination at floor level. 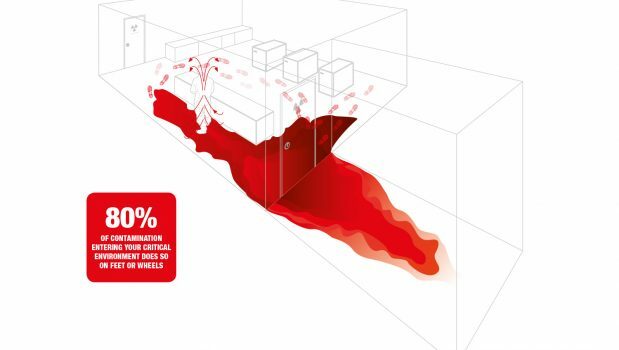 Installing Dycem Contamination Control mats or flooring prior to all entrances to critical areas will prevent up to 99.9% of foot and wheel-borne contaminants from entering the critical area (Source: Dr C. Clibbon, GSK). Below are images of floor level contamination before and after Dycem has been installed.